Quilting Adventures: Rewarding myself ... ! A girl can only work so long on quilting UFOs without going through some form of withdrawal! Seriously, I've been so good at completing projects, even those I started in 2018. 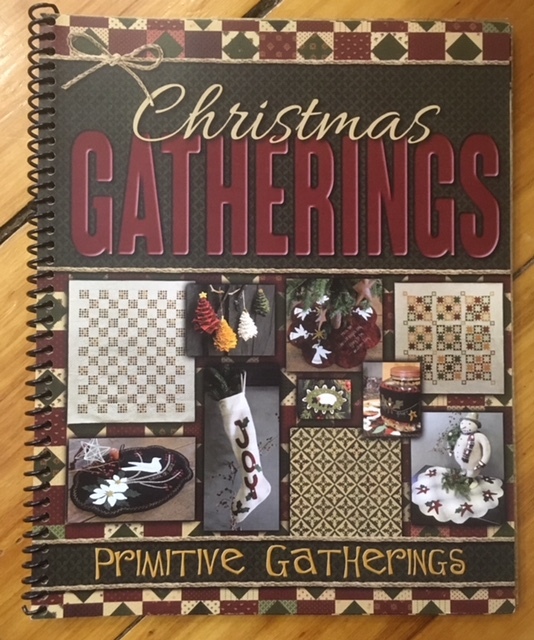 To reward myself, I went shopping on the Primitive Gatherings website. 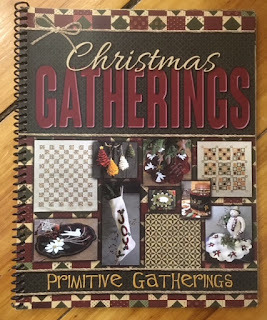 If you love wool, Primitive Gatherings website is a dangerous place to browse. I fell in love with quite a few wool kits but had to limit myself. 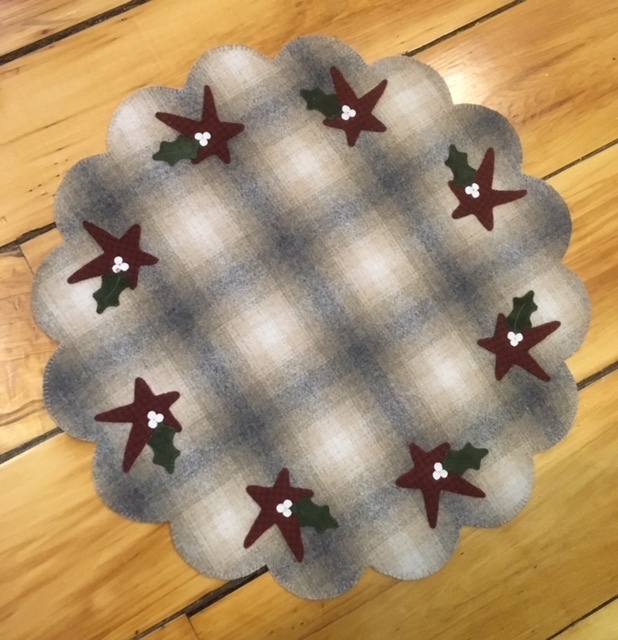 I decided on a table topper from Lisa Bongean's latest book Christmas Gatherings. There are lots of lovely projects in that book. Although I do have a small wool stash, I don't have a lot of interesting backgrounds and besides, the kit was perfect! I just love how it turned out! Another wonderful addition to my holiday decor! If you haven't heard, I am doing a give away in honour of eleven (11) years of blogging. You can check out the post here. You have until March 13 to put your name in for the draw. Wonderful piece. I splurged and bought two patterns this year, one for christmas and one for my beach room. That is really fabulous. I LOVE that background wool.